Functional Analysis: Guide for Understanding Challenging Behavior by the Center for autism Spectrum Disorders at Southern Illinois University, Carbondale. 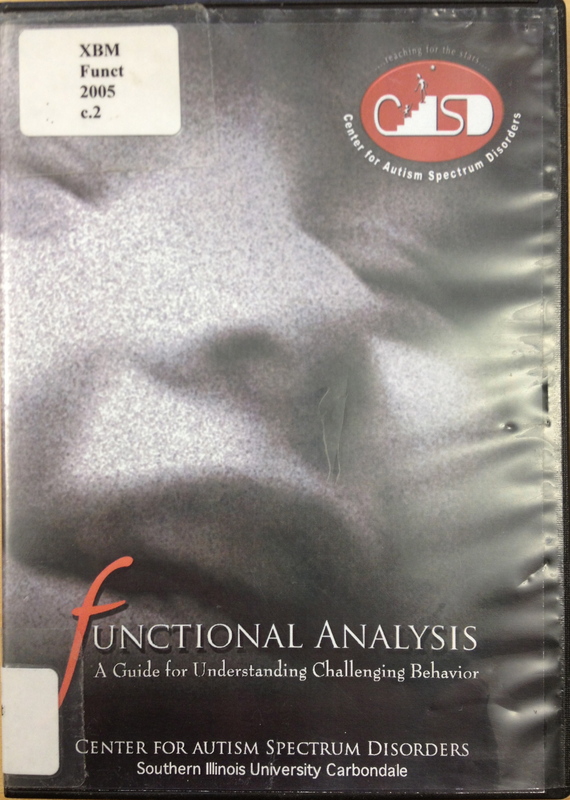 This DVD is designed to offer assistance in using functional assessment techniques to determine why challenging behaviors occur. It presents a general overview of functional assessment techniques and highlights the four most common environmental functions of challenging behavior. 30 minutes. This entry was posted in Behavior Modification, Our Library and tagged Autism Spectrum Disorder, behavior modification, DVD, functional analysis. Bookmark the permalink.